Antoine was born in Poitiers, France and is now based between Berlin and nomadism. Being an athlete throughout his first 20 years of life, his interest in the body manifested in two years of medical school which led to the university of sport sciences of which he graduated with a Bachelor degree specializing in education and motor skills. He then became involved in dance and different contact improvisation communities throughout France which brought him closer to unify his interests for the body, movement and performance. 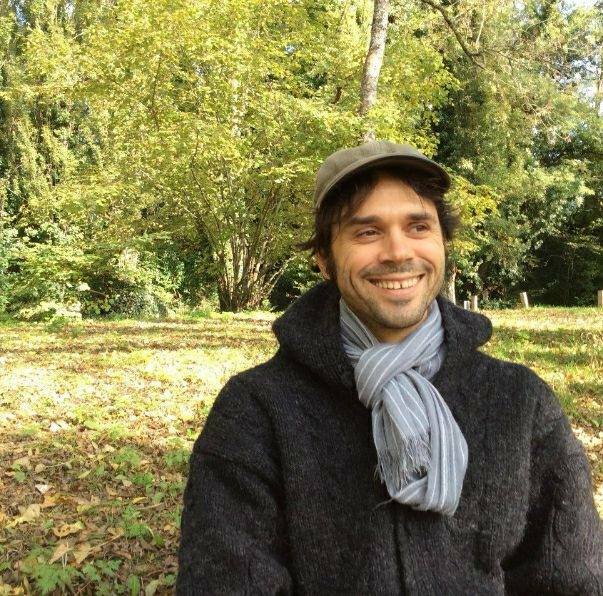 Today Antoine brings many years of teaching contact improvisation, sports (especially swimming and judo) and early motor development to his fastidious bent for research and sharing of the Axis Syllabus, of which he is a certified teacher. During the last two years he has been traveling the world with his dancing family teaching and assisting numerous workshops in prestigious dance festivals and also in local self-organizing communities. Antoine is known for his enthusiasm and infecting others with the movement-research-geek-syndrome. He is also a passionate improviser, who is recently developing a specific character, ingenuous, playful, boiling, anxious and slightly clownish.